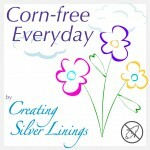 The Corn-free Link Party is Back for the Summer! The move is complete but the unpacking is never-ending! But I have a brand-new kitchen in my new home and I can’t wait to make all sorts of fabulous new recipes for you. My tip for this week was a created out of necessity during my move. Necessity is the mother of invention, right? I needed a quick high protein breakfast to keep me going during my move. I wanted it so fast that I didn’t even need to use the blender. 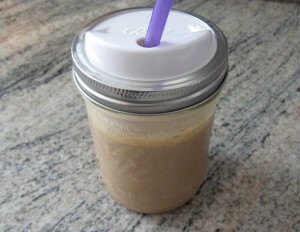 So instead of freezing my nut milk to blend into my shake, I froze the shake ingredients to add to my nut milk! This will work with any shake recipe you like, but my turmeric-spiked, inflammation-fighting combo is below. Hint: You’ll want to go with strong flavors, if you use the turmeric. The cacao masks the flavor in my version. Blend your base and pour into an ice-cube tray. 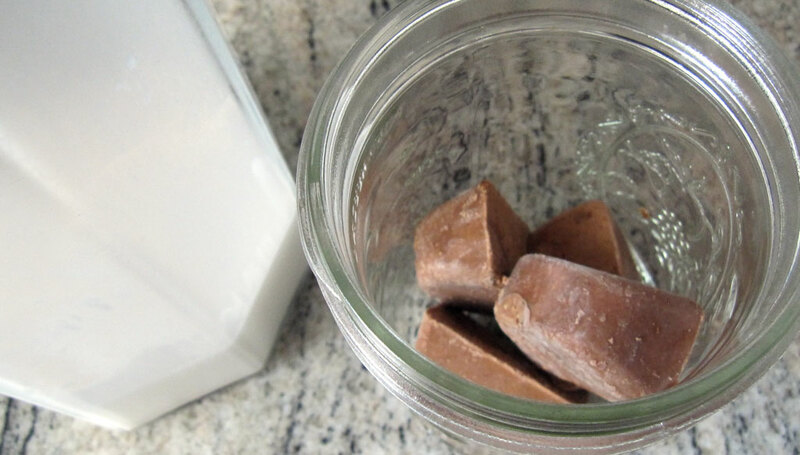 Then when you need a protein boost, add a few cubes to a canning jar or thermal mug along with some nut milk. Shake it and drink up on the go! By the way, I have a lot of pulp leftover from all the nut milk that went into the shakes. I’m looking for creative ways to use that up. A girl can only eat some many corn-less tortillas and un-cornmeal muffins. Ideas? I’ll post the featured recipes from the uber link party later this week. This entry was posted in Art, Autré Chose, Link Parties, Recipes, Tips and tagged cacao, coconut sugar, corn free, corn-free everyday, crafts, healthy living, nut milk, refined sugar free. Bookmark the permalink. I miss you! And I’ve got a backlog of recipes to share! I hope you’re doing well and will be back here soon!